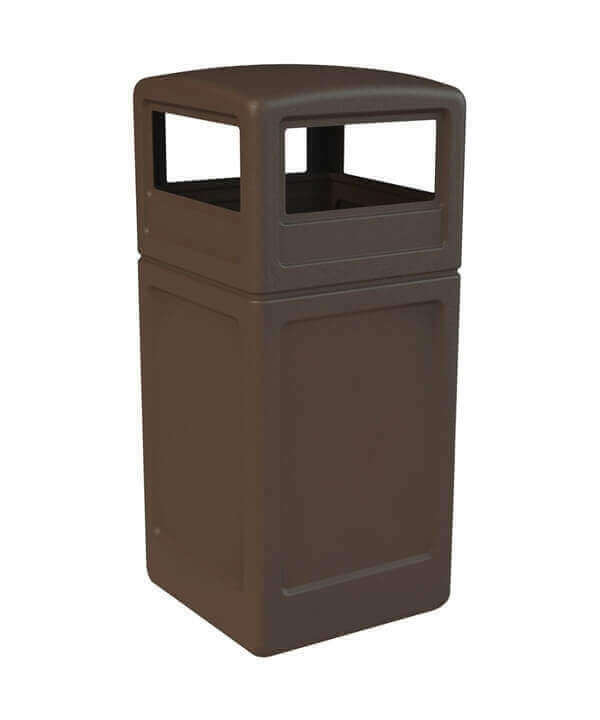 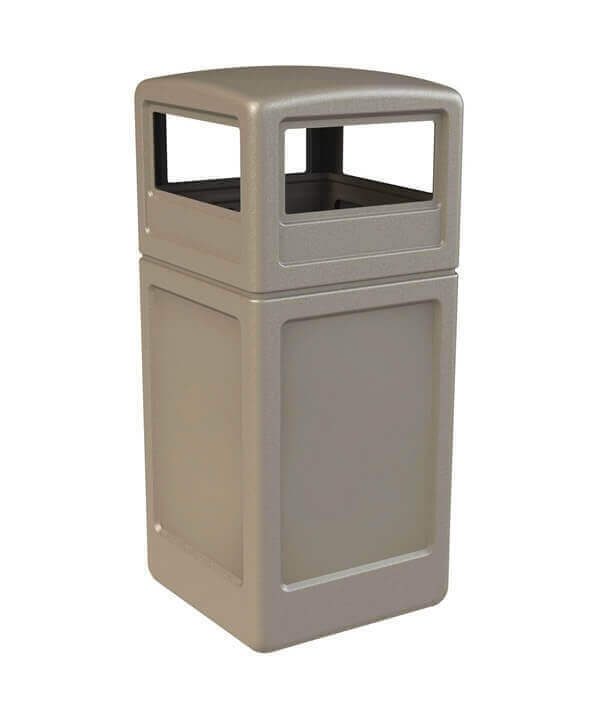 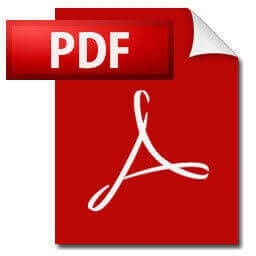 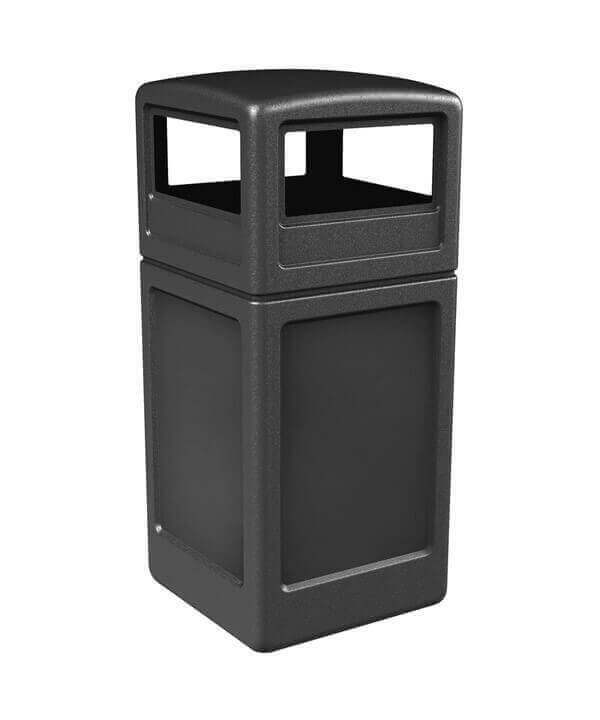 This 42-gallon Poly Tec commercial square plastic trash receptacle has a covered dome lid with access on all four sides for easy trash disposal while discouraging placement of garbage on the top. Molded from 1/8" thick high-density polyethylene, this 42-gallon trash receptacle is perfect for office buildings, school campuses, and shopping malls, both inside and outdoor. 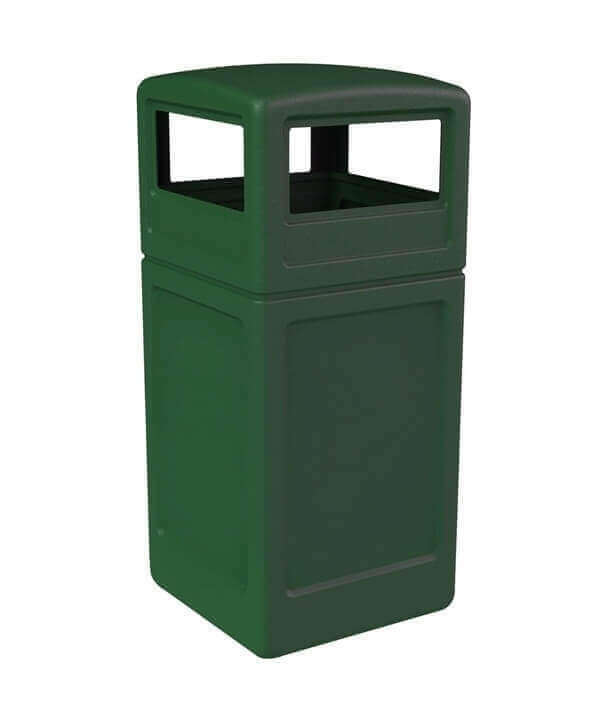 Featuring a lock design to secure the lid to the base and grab bag system that holds the waste bag out of view. 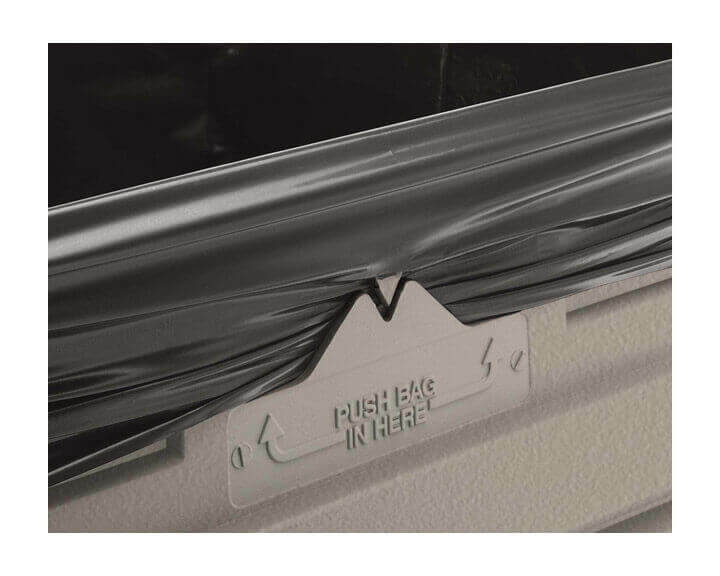 30" Smokers Outpost Commercial Plastic Cigarette Disposal - 6 lbs.